Now available! – A man wakes in the morning ordered by time, and run by the past. A man struggles to keep his spirit alive. He would surely die upon himself. This man wishes upon the stars that the people should rise up and fight against the injustices that he and his brethren face. His army of unsung heroes revolt against the unfair treatment with pride and force. He tells the oppressors “We will no longer take NO for an answer”. This song celebrates the dedication of such people and what they face in order to accomplish their mission, to forge a better world. This is for those that came before. “Triumph and Tragedy” is heavy metal forged in the style of Metallica and Megadeth, infused with keyboards rooted in classic rock. Matt Kosinski is a 14yr old singer/songwriter (2019). ©2019 Rob Kosinski (BMI) All rights reserved. 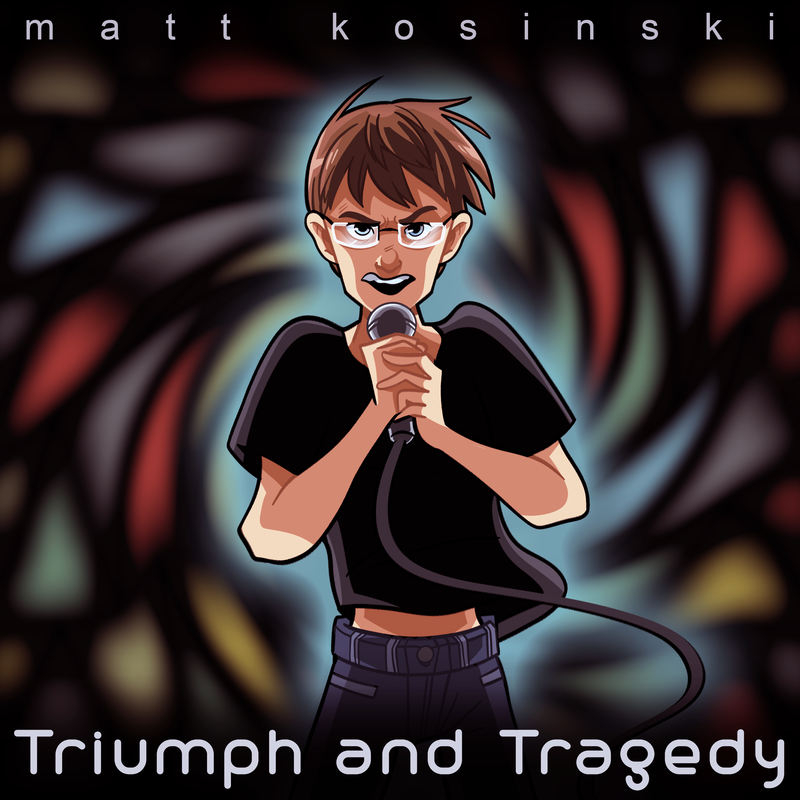 “Triumph and Tragedy” by Matt Kosinski is digitally available for purchase and streaming on iTunes/Apple Music, GooglePlay, Amazon Music, Spotify and CDBaby, but look for it on what ever music service you prefer.